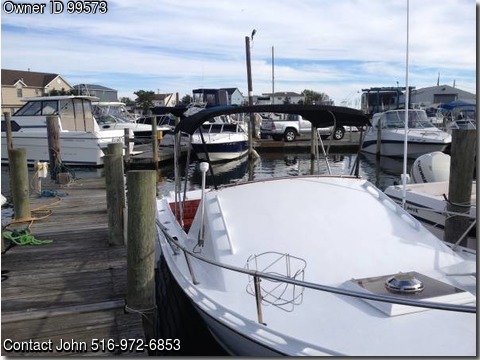 Boat is located in Huntington,New York.Please contact the owner @ 516-972-6853 or j.spooner62@yahoo.com…1965 22′ Chris Craft Cutlass Dory!! Legendary hull w/ good looks!!! Excellent condition FWC 260hp Mercruiser Engine only 440 engine hours! 65 Galloon fuel tank, Hydraulic steering, All new canvas enclosure!